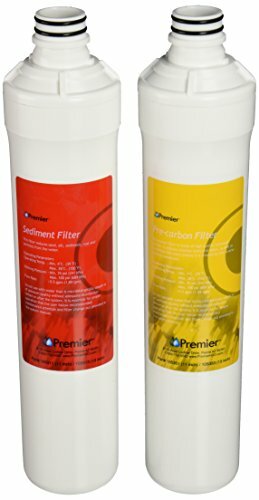 RO-PURE Filter Kit 531102 Six Month Filter Kit Compatible with the Premier RO-PURE Reverse Osmosis and filtration system. This kit will only work with the RO-PURE system. Kit contents: 1 - 5-Micron Sediment Filter designed to reduce dirt, silt, and rust 2 - 5-Micron Carbon Pre-Filters - made of high-quality activated carbon to Reduce chlorine taste and odors and condition the water before it is treated by the reverse osmosis membrane. Applications: RO-PURE/WP-RO4 Specifications: The recommended filter change is every six months. Easy to installNote: Filter life may vary based on local water conditions or use patterns. Product Note: This product will NOT fit the Watts 1/4 Turn KWIK Change Filter System.